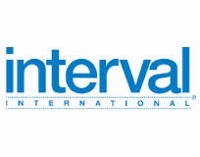 Leading external exchange company, Interval International, has just entered into a multi-year master affiliation agreement with the Absolute World Group. They are the founding company behind the well-known Absolute Vacation Club. This contract extends their partnership that was first established back in 2004, featuring four existing club properties as well as any future developed or acquired resorts during the term of the agreement. Interval International, one of the leaders in external exchange, just announced a recent affiliation agreement with Taupo Ika Nui Resort. Through this affiliation, this New Zealand resort will have access to a wide range of programs and services that will add value to their vacation ownership program.